The author of the acclaimed Stringer: A Reporter’s Journey in the Congo now moves on to Rwanda for a gripping look at a country caught still in political and social unrest, years after the genocide that shocked the world. 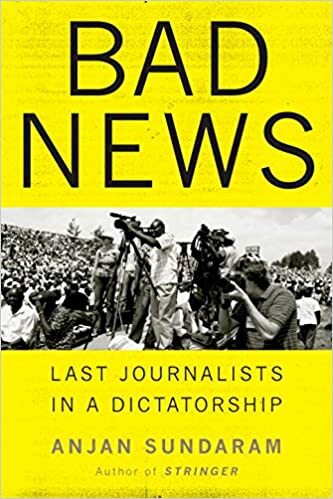 Bad News is the story of Anjan Sundaram's time running a journalist's training program out of Kigali, the capital city of one of Africa's most densely populated countries, Rwanda. President Kagame’s regime, which seized power after the genocide that ravaged its population in 1994, is often held up as a beacon for progress and modernity in Central Africa and is the recipient of billions of dollars each year in aid from Western governments and international organizations. Lurking underneath this shining vision of a modern, orderly state, however, is the powerful climate of fear springing from the government's brutal treatment of any voice of dissent. "You can't look and write," a policeman ominously tells Sundaram, as he takes notes at a political rally. In Rwanda, the testimony of the individual—the evidence of one's own experience—is crushed by the pensée unique: the single way of thinking and speaking, proscribed by those in power. A vivid portrait of a country at an extraordinary and dangerous place in its history, Bad News is a brilliant and urgent parable on freedom of expression, and what happens when that power is seized.